When it comes to high quality repairs for your energy efficient air conditioning system, ClimateSmith is the company to call when you need help. Your comfort is our priority. We specialize in Lennox AC repairs in Alpharetta and have extensive experience repairing and servicing energy efficient HVAC systems. We are a full service, licensed and insured HVAC Company and we offer a 100% satisfaction guarantee. At ClimateSmith, we provide comprehensive Alpharetta Lennox AC repairs, with a thorough diagnostic exam of your unit as well as a system efficiency analysis. We won’t just find the problem with your Lenox AC we will get to the root of the problem. We realize how quickly it can become uncomfortable if your AC goes out. Call ClimateSmith for prompt and reliable Lennox air conditioning repairs. At ClimateSmith, our residential and commercial HVAC customers come first. Our licensed AC technicians are polite and professional. 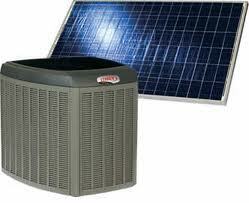 We have expert technicians that can even service your Lennox SunSource Home Energy System. This remarkable state of the art solar power heating and cooling system is more efficient than a home comfort system and easier and more affordable than a home solar system. You can count on our front office and field personnel for fast and efficient attention to your HVAC problems. We will quickly dispatch our expert technicians to your home or business. For quality Lennox HVAC service, contact our Alpharetta Lennox AC Repairs Technicians today; we are Lennox AC Dealer in all of north Georgia. The Georgia summers can be brutal if your air goes out. Rely on ClimateSmith for all of your HVAC needs. We look forward to serving you with superior service and affordable prices.